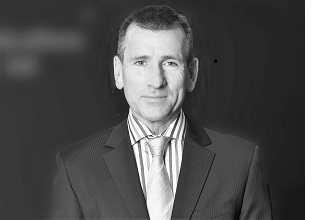 John Stanton is the Chief Executive Officer of Communications Alliance. John Stanton is a seasoned communications industry executive with over 18 years of experience. From 2006-2009 John was Chief Executive Officer of ASX and NZX-listed telecommunications carrier, People Telecom. Under his leadership, People Telecom became profitable and was recognised as Australia’s Best Regional Service Provider in the Australian Telecom Awards 2007. In early 2009 the Company was sold to M2 Telecommunications. Prior to that Mr Stanton was an executive with Intelsat, the largest provider of fixed satellite services worldwide. Based in the UK from 2001-2005, he was President and Director of Intelsat Global Sales & Marketing and of the Data, Carrier and Internet Business Unit. Mr Stanton also spent two years in the US with Intelsat as Vice President of Sales and Marketing from 1999-2001. Mr Stanton joined Telstra in 1992 as a result of the merger with OTC where he was Manager of Public Affairs. From 1992-1999 Mr Stanton held a number of roles with Telstra including Managing Director of Payphones and Card Services. From 1996-1997 he was also Chairman of the Intelsat Board. In his early career, Mr Stanton worked as a journalist and as a press secretary with the Australian Government. Not less than two (2) and not more than three (3) positions open to all the membership.